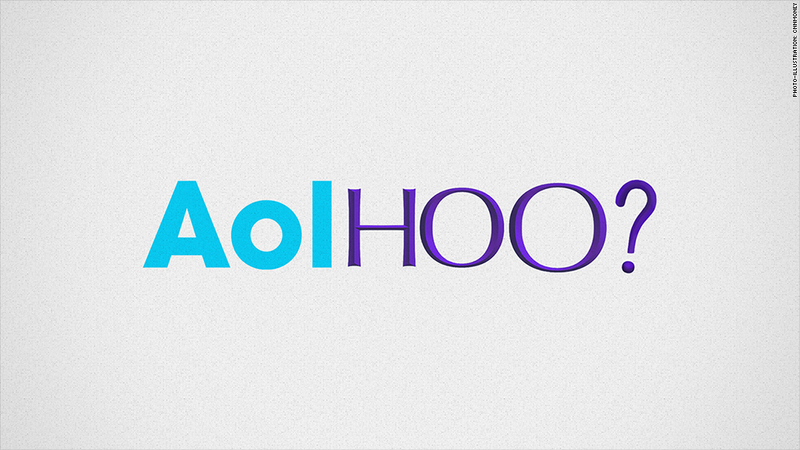 Yahoo-AOL merger rumors are back! Will Yahoo use Alibaba cash to buy AOL? 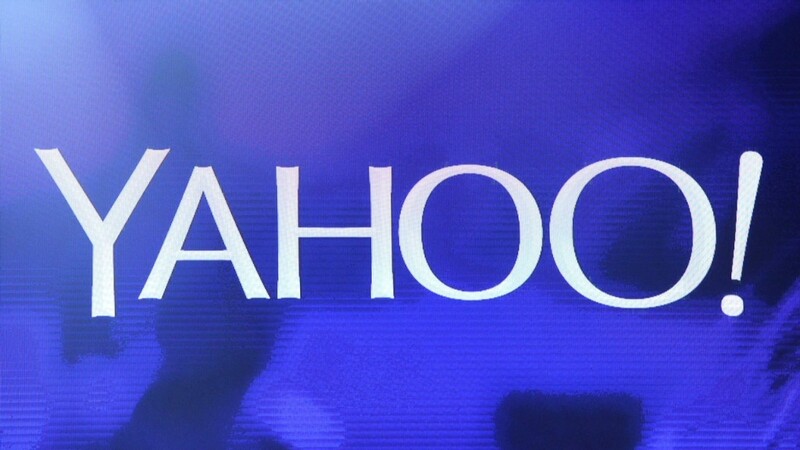 Yahoo is cashing in on part of its Alibaba stake. 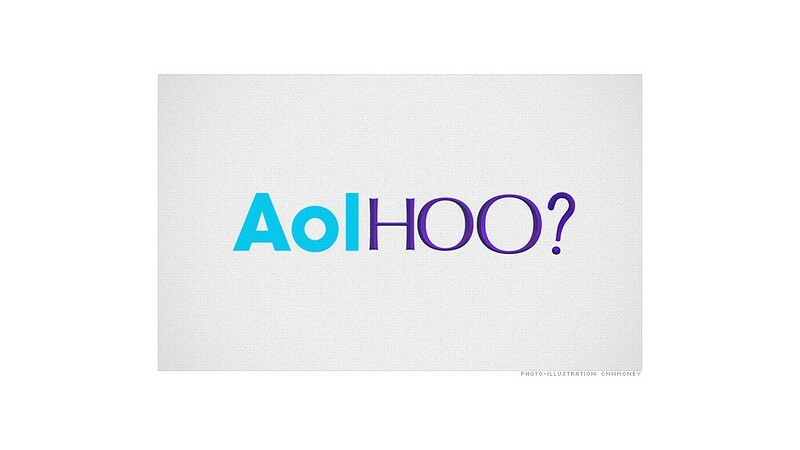 Will it buy AOL with the money? There have been rumors about a Yahoo (YHOO) and AOL (AOL) merger for years -- pretty much since CNNMoney owner Time Warner (TWC) spun off AOL as a separate company in 2009. But the chatter has increased lately because Yahoo is expected to generate more than $5 billion (after taxes) from the sale of part of its investment in Alibaba (BABA), which went public Friday in what turned out to be the biggest IPO in history. Shares of Alibaba surged about 40% from their offering price. What will Alibaba's closing price be? Vote! Shares of AOL popped more than 3% late Thursday after the derivatives team at brokerage firm BGC Partners wrote in a report that "post the Alibaba IPO, there is a possibility that Yahoo may seek to deploy its cash by pursuing AOL as an acquisition target." The stock gave back most of those gains Friday. Yahoo's stock was lower too. The Yahoo-AOL merger rumors never really went away. Will a deal finally happen? Still, the question is why should Yahoo buy AOL in the first place? Colin Gillis, who covers Yahoo's stock for BGC Partners, says that a deal would make sense. He thinks Yahoo would benefit from AOL's expansion in online video. It is true that the two companies could mesh well. Yahoo has built up a solid news outfit (especially its finance and sports units) and AOL owns The Huffington Post. A combined Yahoo/AOL would have some quality content ... and we all know that content is king. It's also possible that Mayer could get along well with AOL CEO Tim Armstrong. Both of them used to work for Google (GOOGL). But it's not clear that a combined Yahoo and AOL would be able to do a better job of stealing online ad dollars away from Google, Facebook (FB), Twitter (TWTR) and others. Growth at Yahoo has remained sluggish since Mayer took over in 2012. A flurry of buzzy acquisitions have helped restore a cool factor to the company. But they've done little to boost revenue and profits. Many experts argue that the sole reason Yahoo's stock has done as well as it has recently (up 37% in the past 12 months) is due to excitement about its Alibaba stake. And despite efforts by AOL to shed its old subscription-based business model, that division is not dead yet. It still accounts for more than 25% of AOL's total sales and is dragging down growth levels for the whole company. Would Yahoo really want to own that? Eric Jackson, managing partner of Ironfire Capital, a hedge fund that owns shares of Yahoo, said no. He thinks the only way a Yahoo-AOL merger could work would be if there were mass layoffs, especially on the sales side. And Jackson doesn't believe Mayer wants to do that since she's been mainly focusing on buying startups and bringing on new talent. Jackson said that if Yahoo is going to use some of its Alibaba couch cushion cash to make a deal, it would be more likely to buy an online ad company. He said that either Rocket Fuel (FUEL) or The Rubicon Project (RUBI), two recently public ad tech firms that have fallen sharply from their highs, could be bargains. A splashier purchase could be AppNexus, a privately held online ad tech company that just raised a new round of financing which values it at $1.2 billion. But Jackson said the best move may be to sit tight with the cash -- and possibly try to sell itself instead of looking for other things to acquire. He said he'd love it if Japan's SoftBank (SFTBY), which also owns a huge chunk of Alibaba, made an offer for Yahoo. "I hope Yahoo doesn't buy anything. I'm a little fearful of what Mayer will do with that cash," he said.